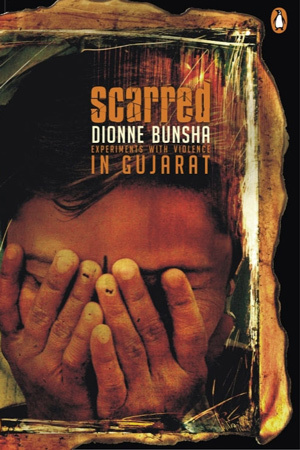 Scarred: Experiments with Violence in Gujarat asserts the existence of a much larger politics of violence, and tells the story of a disaster in Hindutva’s laboratory which etched deep faults in Gujarat’s social landscape. While capturing the predicament of the Sabarmati Express survivors, Scarred is an intense, moving portrait of refugees whose lives have been changed forever by the violence that followed. It tells the story of people fighting for justice amidst fear and turmoil, unable to return home. It is also an insightful look into the minds of the perpetrators of this violence, and the world they seek to construct—a world where the ghettoization and socio-economic boycott of Muslims have become the norm. What exactly happened in Gujarat in February 2002? Why did the country’s political leaders fiddle while Gandhi’s Gujarat burned? In this honest and thought-provoking book, Dionne Bunsha tries to answer these and many of the questions that we are still left with.